Crusin’ along the lazy river. Oh my! 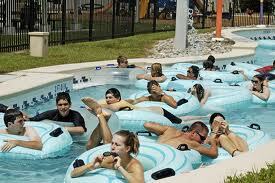 Collier County’s only water park thrilling children, parents and grandparents too! One million gallons of water, five water slides, four pools, a lazy river and interactive water features! Food Concessions and lockers available. A great way to stay cool ALL DAY! 15000 Livingston Road, Naples, Florida 34109. For more information, please call 239-252-4021.